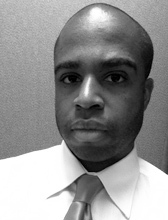 Herbert Tinsley is an analyst at the Government Accountability Office. Prior to this, he was a senior researcher at START. Tinsley earned a master’s degree in terrorism and nonproliferation studies from the Monterey Institute of International Studies, a bachelor’s degree with honors in political science from the University of Pittsburgh and a diploma with honors in Modern Standard Arabic from the Defense Language Institute. Tinsley’s research interests include extremist primary source documents and ideologies, aviation security and insider threats, terrorism in the context of new religious movements, apocalyptic millenarianism, Islamic State and CBRN weapons, fidayin and fidayin-style attacks and identity construction in jihadist literature.